One of the greatest influences that nudged me into the sci-fi realm was the author Harry Harrison, who sadly passed away last month. He was a prolific and consistent writer. So prolific that he managed to finish of his memoirs a few days before he died. The first Harry Harrison books I read were easily discovered on my father’s bookshelf. It was a few books from the Stainless Steel Rat Series. These stories of the independent hero James DiGriz were written in the first person “I”, which caught my attention and sucked me into the narrative more effectively than many other books. The series was styled as tongue in cheek science fiction, but beyond the humour it served me an important example of a cheerful and intelligent protagonist winning against a universe full of silly rules, regulations and boundaries – perfect for a teenager like me at the time that didn’t like the status quo of certain parts of society. 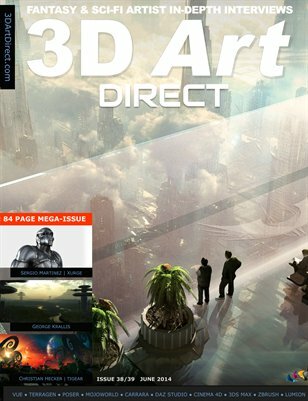 You can read the rest of my salute to Harry in the editorial of this issue’s free 3D Art Direct magazine. 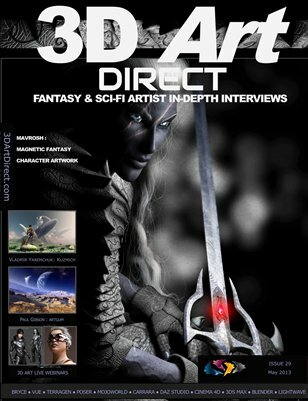 We also cover interviews with artists that use Carrara, Daz Studio and Lightwave to amazing effect. 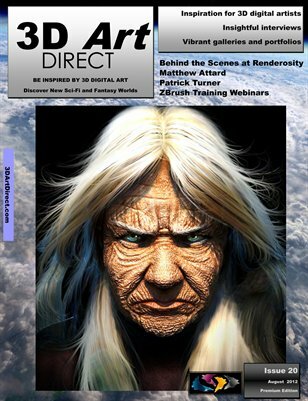 In this session I interview a British artist called Deedee Davies who creates some outstanding artwork with Carrara Pro, Vue, Poser Pro and Photoshop. Have you ever wondered how to create art with impact, especially for media such as book covers? Deedee reveals some tips on this and other great resources as she talks about her artwork. How to create art with impact. Does less really mean more? eBook covers Vs physical book covers. “Too little emotion and your character looks like a shop window dummy, too much and they look crazed.”. Using the Liquify tool in Photoshop to overcome this. What was it like for Deedee when she gained her first commissions and in helping to sell stories and novels for authors with her book cover artwork?. 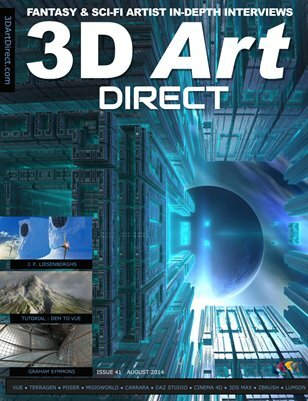 Phil Drawbridge creates stunning pieces of science fiction artwork with Carrara and models with Wings 3D. He was born and grew up in Tunbridge Wells in Kent, in the U.K. , but then made a move to Fishers, Indiana, U.S.A in 2004. 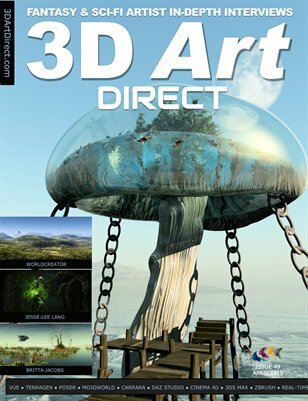 He has had two of his works “Asteroids” and “The Approach” showcased in 3D World magazine. 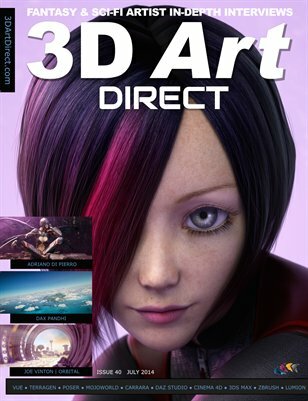 He’s also started to successfully sell 3D models via DAZ 3D. Will the sci-fi book cover survive in the new era of e-book publishing? 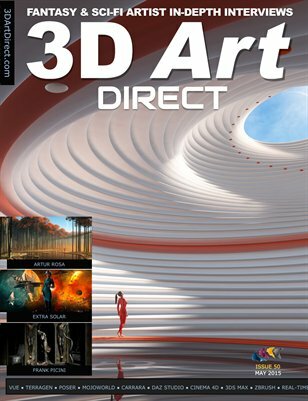 Professional artist and animator from Spain using 3DS Max. Horror and fantasy artist from Switzerland using Bryce and Carrara. 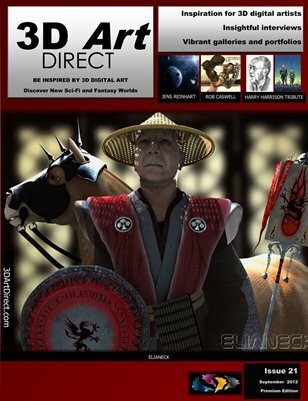 One of the best Star Wars 3D model resources on the web is reviewed by Brian Christensen who picks five models to check out and gets the story from George Mezori who administrates this valuable resource. Editorial : Long live the sci-fi book cover! Will the sci-fi book cover survive in the new era of e-book publishing? 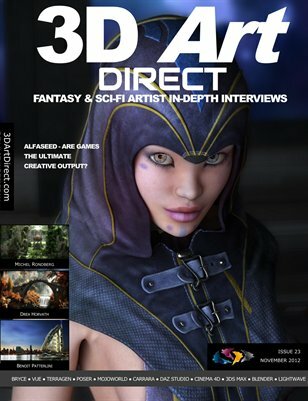 Interview : Bradley W. Schenck – “I’m much more about rockets and robots and pneumatic tubes, and the kind of unlikely science you find in the old pulp magazines.” 3D Model Zone : SciFi3D.com – One of the best Star Wars 3D model resources on the web.